Local SEO is absolutely essential for professional service companies such as doctors, dentists, CPA’s, architects and consultant companies and many, many more which serve a local area such as Houston or any other city. It is the way potential clients can find you. 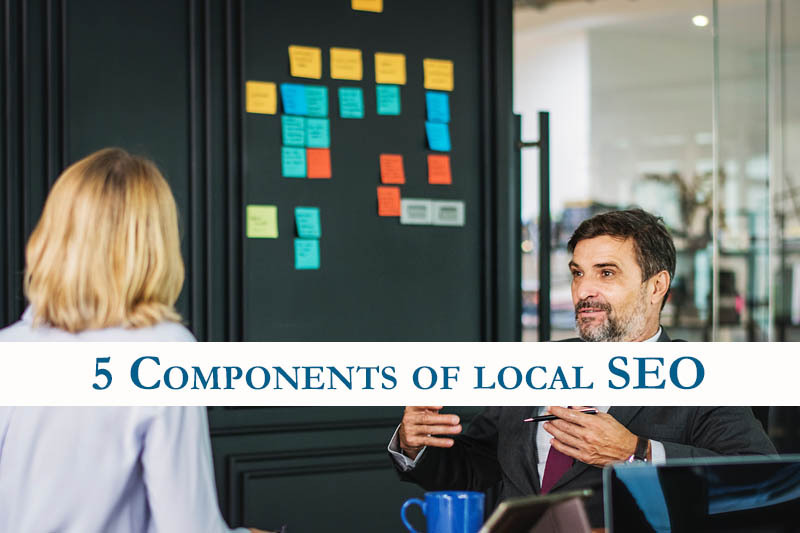 Here are 5 essential components of local SEO. This is absolutely essential to get ranked both in the local Google map pack and Google organic ranking. According to Moz.com, the GMB listing affects 25-27% of how Google ranks your business. When creating a GMB listing, you want it to link to either your homepage or location page (if you have multiple locations). To get the most out of your listing, you want to use the proper category listings, city name in the business description and even, if you can, city name in the location title. Other Local Listings and Citation sites. Citations are business listings and business listing sites. Some are general and then there are niche-specific sites. Citation sites include ones like citysearch.com, YellowPages, manta.com, etc. You want to make sure your name, address, website, phone number and business categories stay as consistent as possible throughout. This helps spread your brand and shows consistency, which is a big deal to Google. From Page title to H1 headers to meta-description, it all counts toward getting your local business and websites ranked. One of the biggest factors for your website is having a mobile-friendly/responsive website. You want to make your NAP (name, address, phone number) matches the citations that have been made for your business. Pro Tip: Click-Through Rate from Search Result is used as a signal in Local SEO Rankings. This is where your meta-description comes in. Think of it as your quick pitch for someone to click the link to visit your page. Reviews do carry a heavyweight in local SEO. From about 15% ranking signal for local pack to 7% localized organic rankings (Moz.com). Review quantity, amount of reviews, review diversity, etc. all play a factor on ranking. Yet, I want you to think in terms of chess not checkers, and go next level thinking. The more good reviews (with text) you get, the better your business looks to viewers. The better your business looks to viewers, the more they will click on to your site, stay on your site and contact you. The more visitors that go to your site and stay longer, the better your rankings will be. If you have heard of SEO at all, chances are you have probably heard of backlinks. If not, backlinks are links from one site back to yours. The more relevant high ranking sites linked to yours, the better your rankings will be. Think of it in terms of votes. One link equates to one vote that your site is a site of relevance and importance. The key is to make sure it is from a reputable website. Inbound anchor text, linking domain authority, linking domain quantity, etc. all play 15 to 27% of the ranking signal. If you’re a business owner or local professional services provider, you might be overwhelmed with what to do first. Hughbanks Design offers a free local SEO evaluation, just click here and fill out the form. If you are brand new and just trying to get started on your own, the best recommendation is to create your Google My Business listing first (assuming you have a website). If you feel like you’re tripping up and just need a little advice, sign up for a free consultation, and we will be happy to point you in the right direction.